Cosy and comforting, this super soft sleeping bag is crafted from 100% cotton which is especially gentle on delicate skin. 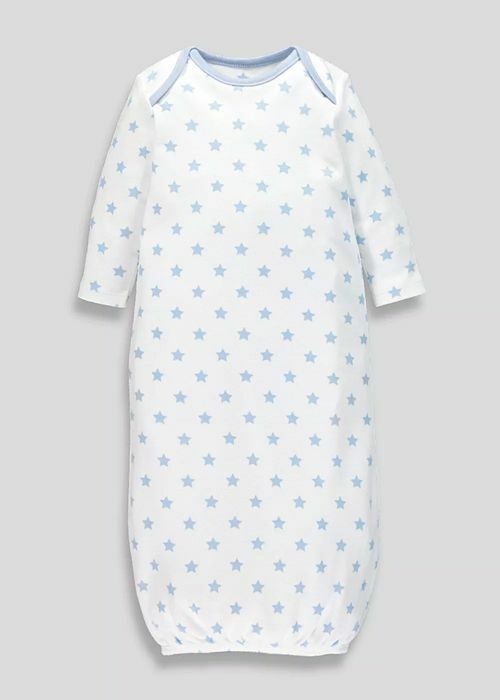 It is designed with an envelope neck opening and a pull up elasticated hem, which helps with easy nappy changes. The body features a sweet blue star print. Care Machine Washable. Low Tumble Dry.